Hero images are still all the rage — they’re trendy and they immediately catch the users eye due to their above-the-fold, full-screen beauty. One of the main aspects of a big header, other than the hero image, is the typography, but we often fall short in this area because hero images can be very overpowering. In actuality, typography can compliment hero images, making them better when the two are combined correctly. 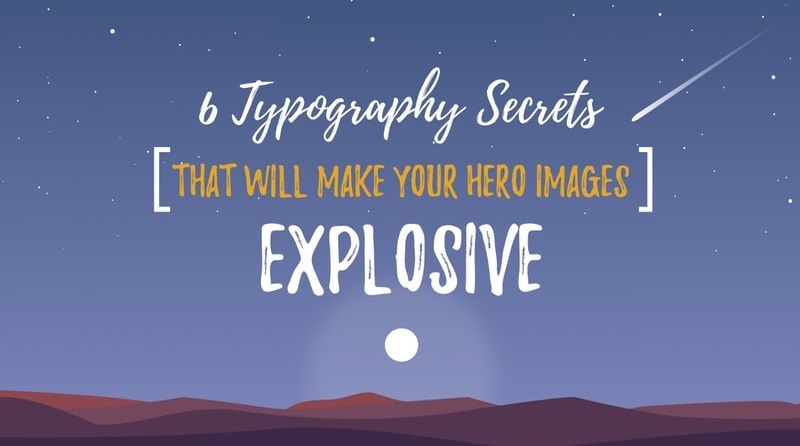 Lets take a look at 6 typography secrets that can make your hero images awesome.